The first motorized truck was put into service on March 20th, 1915. It was a combination chemical and hose truck on a Brockway chassis manufactured by R.G. Edwards of Atlantic City. With horse drawn ladder wagons now obsolete, a Model T Ford was purchased in 1916 and was used to pull the wagon. After two large fires in 1917, the need for a pumper was realized and the “Big Pumper” was put into service January of 1918. Above: The Model-T Ford Ladder Wagon, the Brockway, and the “Big Pumper” driven by A.G. Stewart, B. Franke Zane and Al Johnson respectively. As the town grew, so did the need of more ladder equipment. A Cities Service Truck was purchased from the Seagraves Company for $9,000. It arrived on October 24, 1924 by rail car. The next purchase was a Seagraves “Three in One” truck purchased in February of 1929 at a cost of $6,450. The “3-in-1” designation meant it had a 500 GPM pump, a 50 gal acid/soda tank, and a bed for two and one-half inch hose. In 1942, the chemical tank was replaced with a 200 gallon water tank making this Seagraves the first booster line truck in Gloucester County. In 1945, a new Seagraves pumper was purchased for $4,000 to replace the aging “Big Pumper”. This Seagraves was eventually sold in 1967 to a private citizen. Twenty-four years later in 1991, the pumper’s third owner in Baltimore contacted the fire department asking if we wanted it back as a historical piece. The Seagraves was bought back by the company for $1300 and restored for the 100th Anniversary Celebration in 1996. In 1952, a 75 foot American LaFrance Aerial Ladder Truck was purchased for $31,658 to replace the Cities Service Ladder. It was in service for 32 years, with it’s last run being on March 31, 1986. Over the next several years, the need to add to the Department’s pumping capabilities was necessary and motor vehicle accidents were adding new responsibilities for the members. In 1955 and 1958, two more American LaFrance Pumpers were added to the fleet. 1966 brought the addition of a Ford Rescue truck and 1967 an additional pumper was purchased. 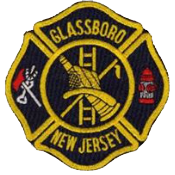 In April of 1986, the Glassboro Rotary Club donated a 1976 Dodge telephone utility truck to the fire department for carrying rescue equipment. It was modified by members of the fire de partment and used for nine years until a new rescue truck was purchased.With the town expanding, as well as Rowan University building taller dormitories, a greater need was created for increased ladder capabilities. Our current fleet of apparatus, including a 105 foot Thibault Aerial Platform bought in 1986, has helped meet this need.